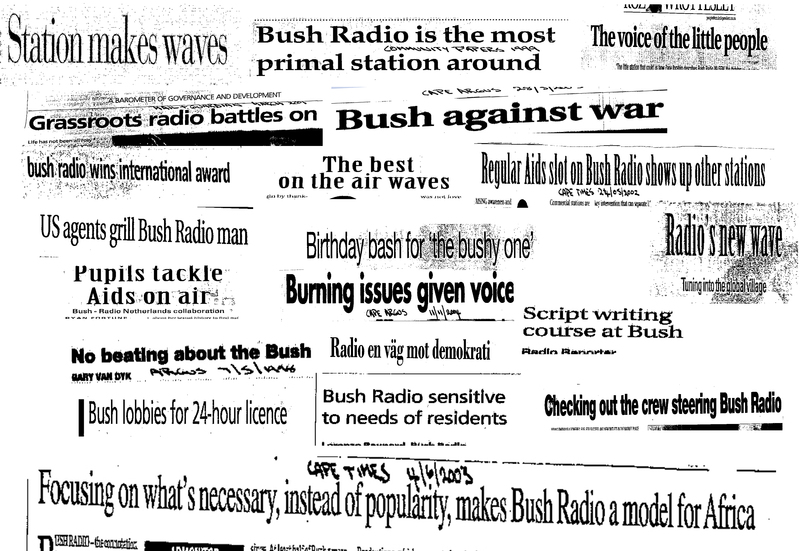 On the 9th August 2013, National Women’s Day, Bush Radio 89.5FM will be celebrating its 18th on-air birthday. If you were a on-air volunteer, trainee or producer between 1995 and 2013 we would like to invite you to join Bassie Montewa on Backchat from 2 to 4pm on Friday the 9th August 2013 to share your experiences with listeners. We want to find out how it was “back in the day”, how the experience changed you, affected your career choices and what you are up to now? If you are able to join Bassie (in-studio or on the telephone) please fill in the form below or contact Isherene Siebritz on 021 448 5450 / marketing@bushradio.co.za to book your time back on air. What programme were you involved in?